I had never applied for the worship director job at our church because, at this point in our life, a full-time job doesn't fit with our family. As far as that goes, I hadn't even applied for the interim position but was asked if I would consider it. When I prayed about "what's next", I kept telling God that if He wanted me to stay, He would need to make it really clear and somehow allow me to see that it could be where He wanted me. Do you ever "tell" God what He needs to do? I know that He is not surprised by me and my requests. After all, He created me. However, I feel like He must think, "Silly girl! Do you think this is too hard for Me?". As of about a week and a half ago, our Board of Elders voted to hire me as the Worship Director with a part-time schedule through May of 2016. What keeps going through my head is this, "I've been offered a job for which I've never applied." It delights me to say that I've accepted the position! By the time this next contract ends, I am hoping that I will have completed a BA Degree in Christian Ministries from Grand Canyon University. 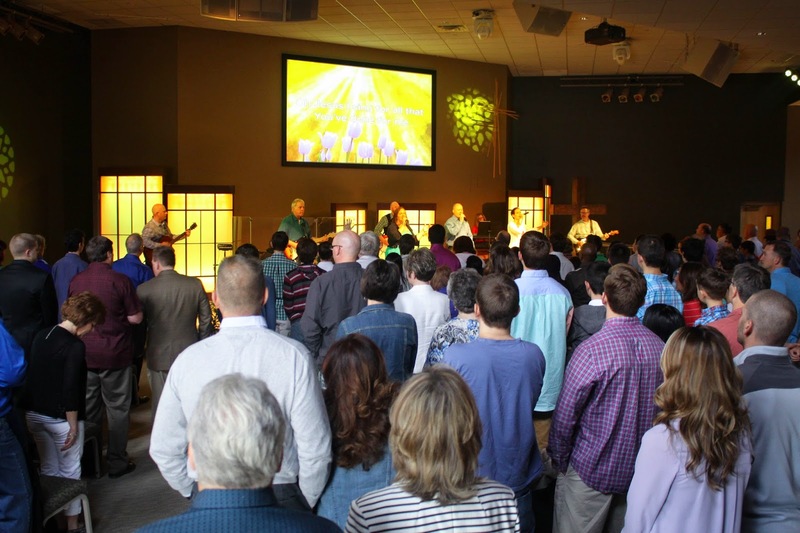 Will I stay at Woodcrest Church past May 2016? Who knows...well, God does. But for now, I intend to enjoy every moment that I am blessed enough to serve Him in this capacity with people I love and in a place that is home. So, the answer to the question of was this too hard for God is no, undoubtedly no.